My mom is out of town this week which means my dad and brother are left to their own devices. Of course I came to the rescue by having them over for dinner tonight. The food and company were excellent. I'll tell you more about the food in a moment. While were finishing up our meal, JR, my almost 4 year old, was feeling like a big boy because we allowed him to drink from a glass cup. He was proudly walking all around the kitchen drinking from his glass, when, our dinner came to a screeching halt. It seemed as though JR dropped his glass. The only witness was Bubba (my father), and when questioned if the glass was dropped or thrown, his answer was "thrown with gusto!" We cleaned up the shards in a frenzy, and reprimanded while trying not to smile or laugh (a problem I often face while disciplining). Lesson learned: do not give anything glass to inquisitive small children. Now I'll tell you about our dinner. We had Meat Lasagna, Squash Tomato Gratin, and a Salad. The lasagna I made tonight was a slightly different version of my ususal lasagna because it also had a parve cheese sauce layer. I got the idea to make it this way from my friend Jodi. She so kindly shared her version with me, and I will now share it with you. 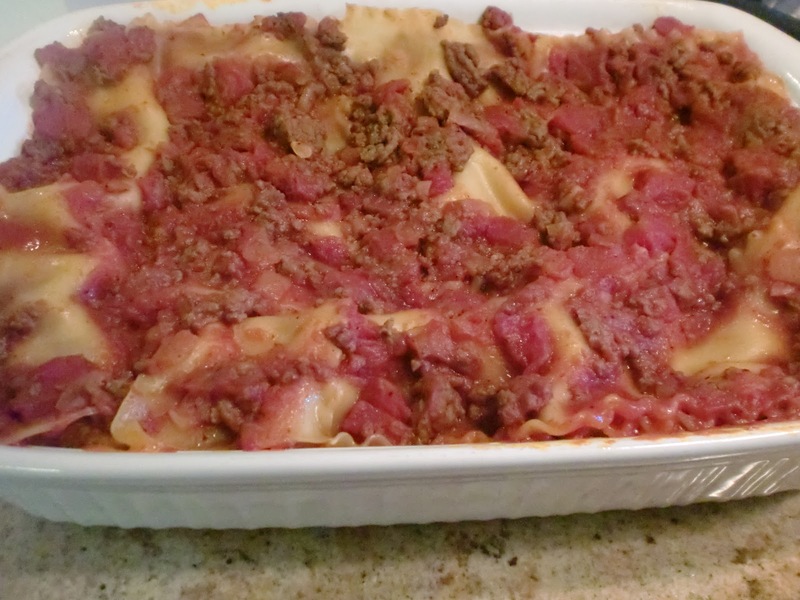 I will forever make the lasagna this way. Although it is a few extra steps, it's very well worth it. The end result is a gooier yummier lasagna. Thank you Jodi! 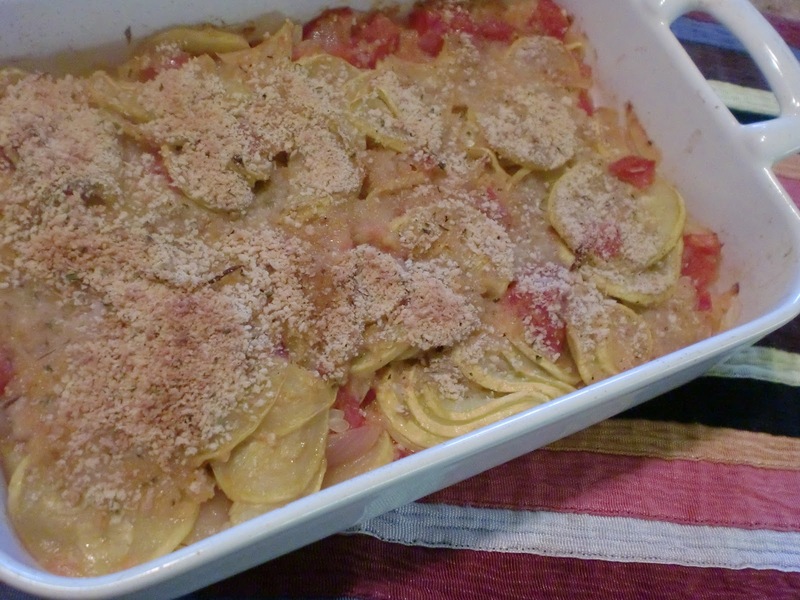 I also made a delish dish I have made many times before, Squash Tomato Gratin. I felt very succesful because I got Drew to taste squash for the first time ever. He actually liked it! Woo Hoo! The recipe is loosely based off of one from Kosher by Design. Keep this in mind for a nice Shabbat side dish too. Brown meat with onion and garlic. Mix in tomatoes and paste. Add seasonings. Cook sauce covered anywhere from 30 minutes to 2 hours on a low simmer, stir every so often to make sure bottom of pot isnt burning . Melt the margarine in a medium pan over medium. Add the onions and sautee until translucent. Add the flour, and salt stirring constanstly 1 minute. Slowly whisk in the chicken broth, and in a steady stream the egg yolks mixed with broth, whisking constantly. Keep whisking until the sauce is smooth. turn the heat down to low and cook until the sauce has thickened, stirring, about 10 minutes. Spray a 9x13 pyrex or baking dish with non stick spray. Start by ladling in some of the meat sauce, and spreading to cover the bottom, and then, layer a small portion of the cheese sauce on top of the meat. Make a layer or the noodles ontop of the cheese sauce. 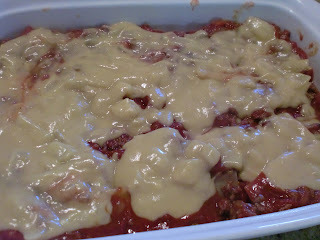 Next ladle and spread more meatsauce, then cheese sauce, then noodles. Repeat these steps until you use all of the noodles and sauces. End with meat sauce. I had 3 layers of noodles, and 4 layers of sauces. Cover tightly with foil. Bake for an hour. Remove from oven and let stand covered for 10 minutes. Remove Foil and Enjoy. Preheat oven to 400 degrees. Spray a medium size baking dish or pyrex with non stick spray. 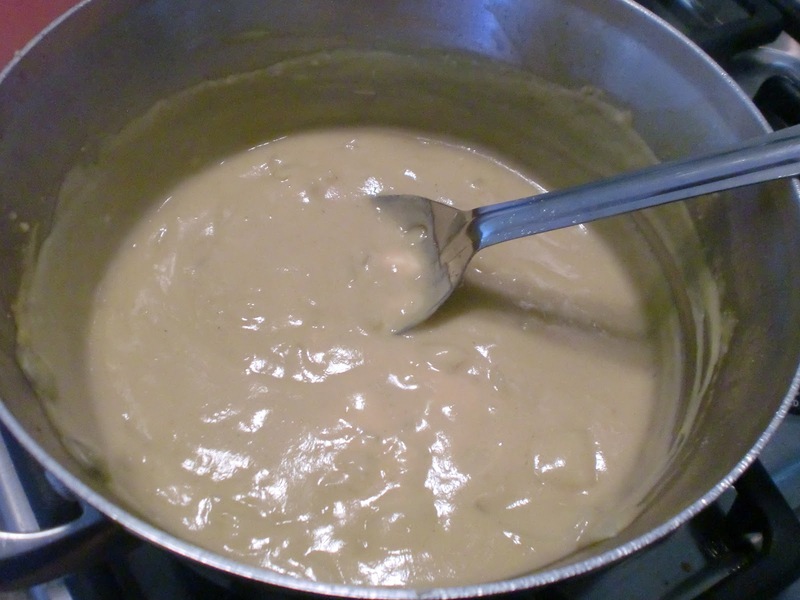 In a large pan, heat the margarine and oil over medium heat. Add the onions, and cook until translucent. Add the squash and garlic, and cook covered with a lid 5-6 minutes until squash is tender. Stirring every so often. Add the tomatoes. Recover and cook 15 minutes. Season will salt and pepper to taste. Pour into the baking dish. Sprinkle the top with the bread crumbs. Bake for 25-30 minutes uncovered, until top is crisp and golden.